JAPAN NINJA COUNCIL is the world’s only official organization composed of groups including municipalities, organized with the aim to spread the culture of the Japanese Ninja, something that has long been veiled in mystery. Looking ahead to the year 2020, various groups have come together to form the council under the nationwide network of local governments, universities, tourism associations, private organizations and business institutions. 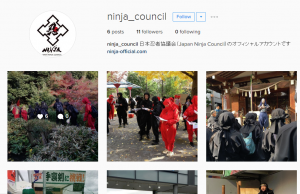 The council is designed to promote tourism, culture, and to contribute to the local economy through the Ninja, sparing no effort in researching, collecting and offering the information on Ninja to others. Initiated into Banke Shinobi no Den of Kokaryu Ninjutsu from the age of 6. The honorary curator of the “Ninja Museum of Igaryu” in Iga city, Mie Prefecture. 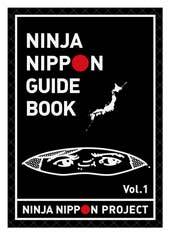 Consultant for Japan Ninja Council since 2015. 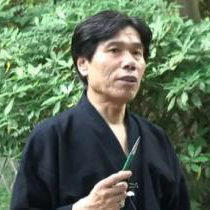 He is the most influential person who has a leading role on the subject “Ninja” in Japan. “NINJA SYURIKEN ORIGAMI” online purchase from February 22nd (Wed)! Share your Ninja photos with us! 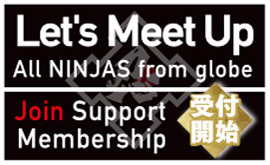 Official "Japan Ninja Council" English site has launched! Find out the latest Ninja related topics from our Facebook page! © ninja-official.com — All rights reserved.